If you've invested in a quality battery from Batteries Sunshine Coast, you'd be crazy not to invest in a quality battery charger. 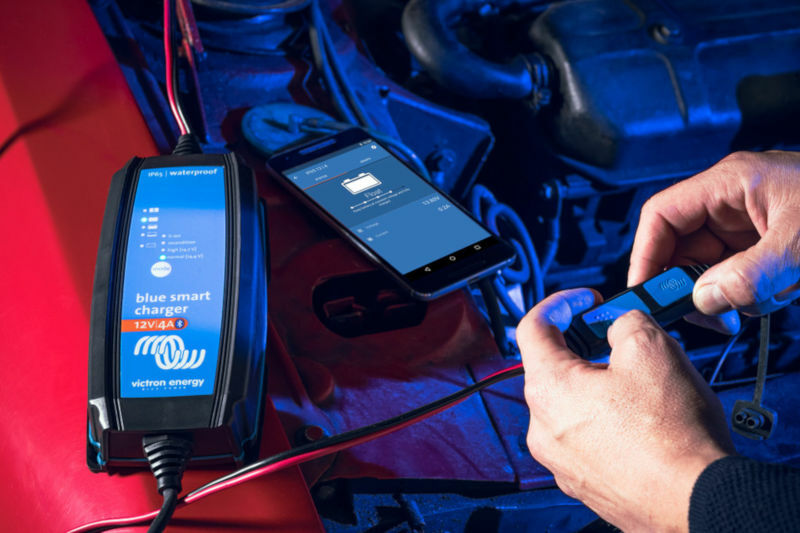 A battery charger ensures that your vehicle battery - whether for your boat, motorcycle or car - always remains in tip top shape. At Batteries Sunshine Coast, we stock a full range of smart Victron Energy battery chargers for delivery at your convenience anywhere on the Sunshine Coast 7 days. Founded in The Netherlands in 1975, Victron Energy is one of the leading providers worldwide for inverters, battery chargers, battery monitors and more. With an unrivalled reputation for innovation, reliability and build quality, Victron Energy products are widely considered to be the best choice for independent electric power. At Batteries Sunshine Coast, we stock and deliver Victron Energy battery chargers at a competitive price across the Sunshine Coast 7 days at your convenience. For more information or to purchase your Victron Energy battery charger, contact Peter directly today by calling 0407 945 334 or email info@batteriessunshinecoast.com.au. Alternatively, you can also use our online chat form for immediate assistance.